I made these Cocoa Almond Meringues after seeing a picture of the ones in Dorie’s book, Baking From My Home to Yours. Her pictures featured these crinkled meringues that I could just taste in my mind, if that makes any sense. I had all of the ingredients anyway, so I figured I should make some for myself (and to share with others, of course). There really isn’t much to these meringues; all the ingredients are in the photo below: sugar, cocoa powder, salt, egg whites, and almond flour. Just combine all of the dry ingredients (I thought whisking them together would be enough, but my powdered sugar wouldn’t de-clump. I resorted to sifting them later on. Make the meringue with the egg whites, salt, and sugar. Mix until stiff peaks form. Add the dry ingredients to the meringue. This is where I sifted them in. Gently and rapidly mix everything together, trying not to deflate the meringue. The finished product! I hope they look better than the aforementioned emoji/emoticon… They tasted great! crispy on the outside, and chewy on the inside. Delicious! 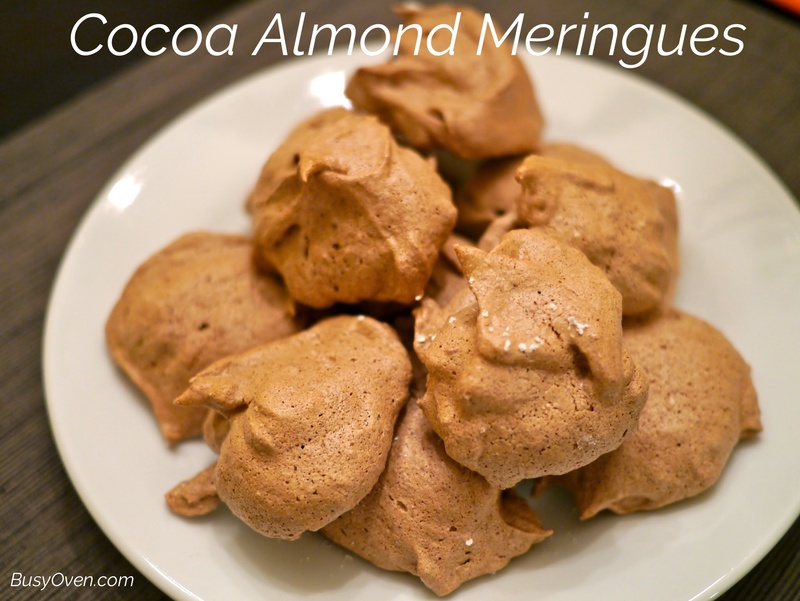 Cocoa Almond Meringues recipe on page 155 of Baking From My Home To Yours.